3. Colors: blue, pink, brown and black etc. 7. The sizes: women: 36-41, men: 40-45. 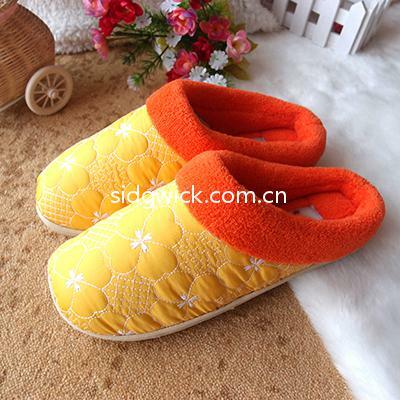 The slippers are made from a soft cloth material. The design features a colorful plush material with an arabesquitic appearance. The interior fabric is so soft that it is great for feet. The slippers need hand or machine wash, gentle in cold water. Rinse carefully in cool clean water. Air dry flat. Please do not use automatic dryer.